Members receive a $1.00 discount on this item at checkout. 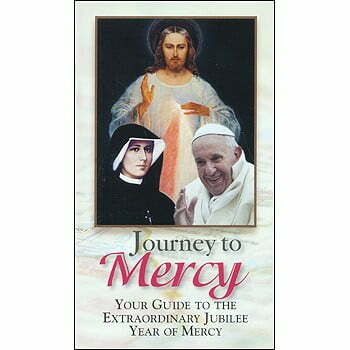 Tags: Divine Mercy, Featured, Year of Mercy. Welcome to the Jubilee Year of Mercy! The extraordinary Jubilee Year of Mercy takes place between Dec. 8, 2015, the Solemnity of the Immaculate Conception, and Nov. 20, 216, the Solemnity of Christ the King. But what is a Jubilee year? Why did Pope Francis call one now? And how are we to celebrate it? Here, you’ll find answers to these questions and more. Join Pope Francis and the entire Mystical Body of Christ throughout the world in celebrating the extraordinary Jubilee through prayer, study, receiving the Sacraments, and performing works of mercy for your neighbors, whether they be friends or foes. Soft Cover, colored pictures, 85 pages.